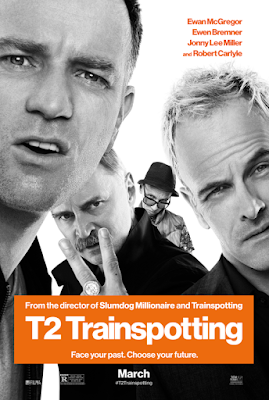 Download a pair of passes to see T2 TRAINSPOTTING in San Antonio! You can download an admit two pass to see the new movie T2 TRAINSPOTTING at Santikos Palladium IMAX - 17703 W. IH-10, San Antonio, TX 78257, on Wednesday March 15th, 2017 at 7:30PM. Disclaimer: NO PURCHASE NECESSARY. Passes available on a first-claim first-serve basis. You will need to register for a free Sony Screenings account in order to redeem the passes and each registered user account is limited to claim one admit-two pass. SEATING IS LIMITED, SO ARRIVE EARLY. PASS DOES NOT GUARANTEE A SEAT AT THE SCREENING. Refer to screening pass for further restrictions. CLICK HERE to join our Mind on Movies Texas Email List.